Here is a question we get asked quite frequently from the customers visiting our cricket store. Do you sell light weight cricket bats ? The questions stems from a desire to play with a light weight bat as it is easier to maneuver and gives batsmen more control and faster bat speed. The answer to the question we always provide is "Yes we do". 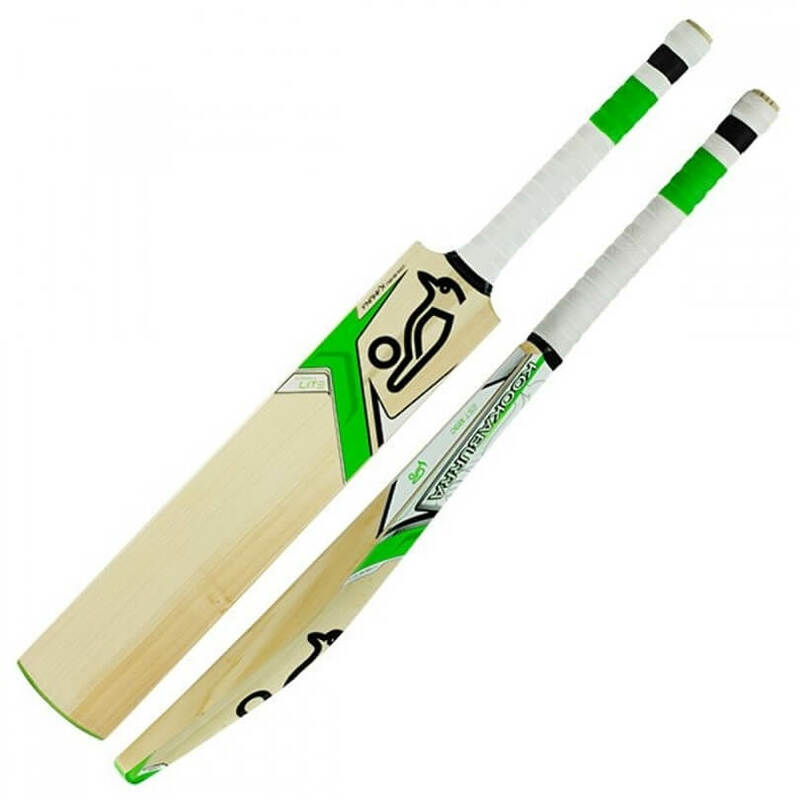 The Blade series of cricket bats made by Kookaburra are the lightest bats we sell on our store. Kahuna Lite and Kahuna 150 bats weigh around 2.6 lbs and are great bats for players who prefer to play with lighter bats. The Blade series of bats by Kookaburra are endorsed by prolific opening batsmen like South Africa's AB De Villiers, Australia's Phil Hughes and England's Eoin Morgan. The hand made model generates perfect power to pick up rate, this along with the brilliant power shaped face, Blade range delivers amazing stroke play. A 12 piece handle is covered by a black feather grip, giving you a excellent finishing touch. The Blade is created using top grade superior unbleached English willow. A excellent bat for the batsman who's seeking to take control opposition with field disecting power play and boundary showering hits. We would like for you to play with lighter bat if you prefer but would like to make point out what are advantages and disadvantages of playing with a lighter cricket bat when playing in the competitive environment. Most of the English willow bats in our store range from 2.7 to 3.0 lbs, while we were in the process of making our brand CE, we tested with several concepts for cutting down on the weight of a cricket bat. In the process we created bats weighing around 2.5 lbs and noticed a drop in the performance during stroke play. The manufacturer suggested to keep the weight around 2.7 lbs to get better performance from the bats. So there is a compromise in performance when you use a lighter bat as opposed to a heavier one. The maneuvering capability and bat speed is fast in lighter bats, however the power and force behind the stroke is more when playing with a heavier and thicker bat. I wish to express my apptociarien to this writer just for rescuing me from this scenario. Right after searching throughout the world-wide-web and getting suggestions which were not helpful, I figured my life was done. Being alive without the approaches to the problems you have solved all through your guideline is a serious case, as well as those which could have adversely affected my career if I had not come across the blog. Your good training and kindness in taking care of almost everything was valuable. I don't know what I would've done if I had not come upon such a stuff like this. I can at this moment relish my future. Thanks a lot very much for your professional and result oriented help. I won't think twice to suggest your blog to any person who should get guidelines about this situation.